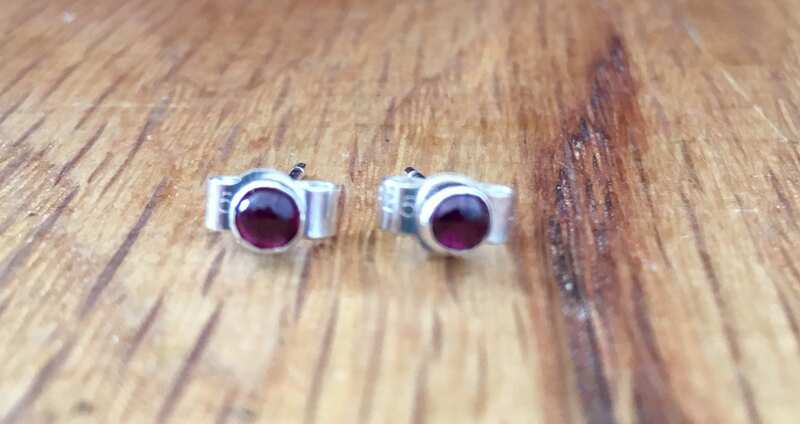 Pretty Rhodolite Garnet silver stud earrings. 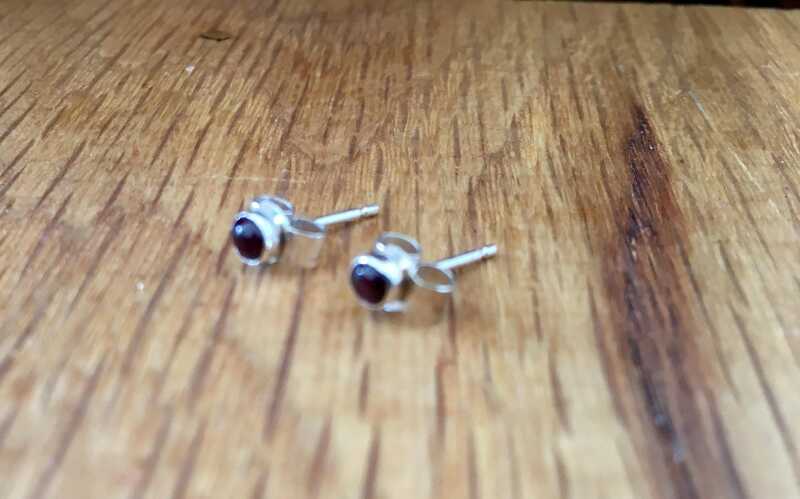 Garnet is the January birthstone and the name "garnet" comes from the Medieval Latin word, "granatum", which is an adjective meaning "dark-red". 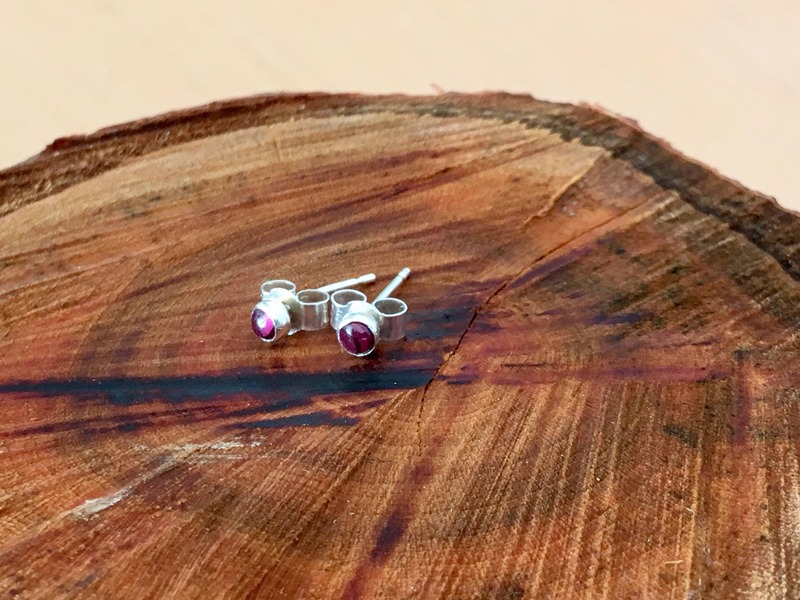 It is thought that this adjective could have been extracted from the word "pomegranate", due to the color. of the seed coats or shape of the seeds. 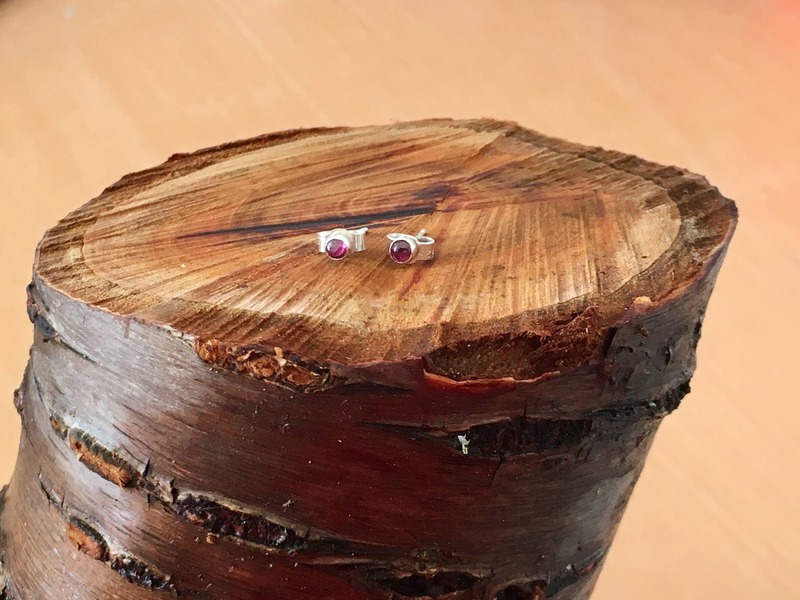 The Rhodolite garnet gets its name from the Greek word, "rhodon", meaning "rose colored", which refers to its pinkish hue and Rhodolite garnet's change in the light from a pink to a dark red with a purple tinge. 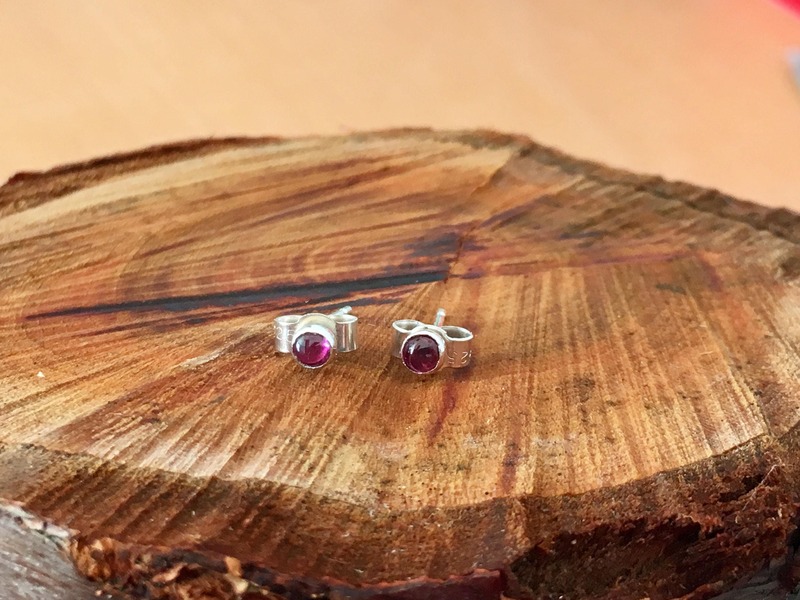 The Rhodolite garnet stones are 4mm in size and sit in a sterling silver bezel cup with sterling silver butterfly backs. 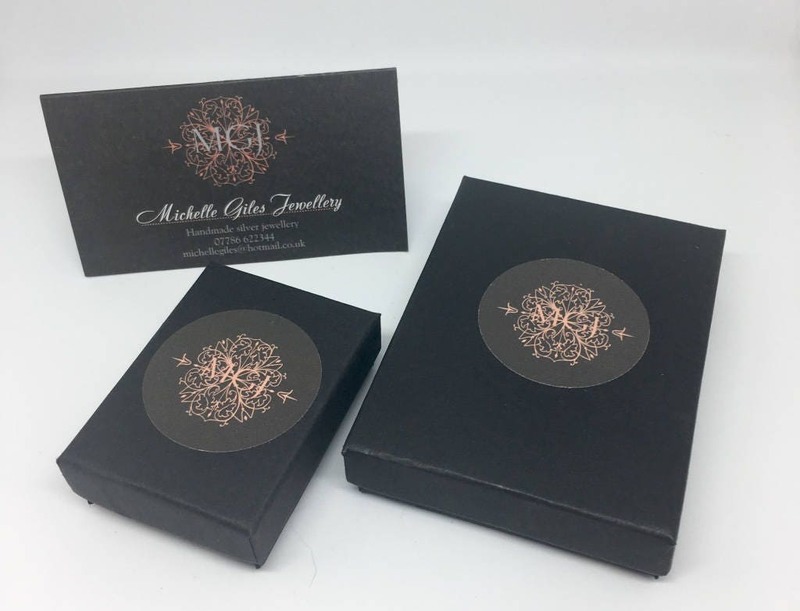 They make an ideal gift.